Don’t say I didn’t warn you. Twenty years from now, when you’re recalling the great times you had enjoying your first UTV and you want to get a nice vintage version of it, or you’re looking for a well-preserved example of a machine you dreamed of owning but just couldn’t get at the time, you may not be able to find a good version of the vehicle you were so fond of. That’s because the lifespan of mint-condition UTVs is much, much shorter than the lifespan of mint-condition cars or motorcycles. Sadly, the only thing mint-condition UTVs have done to endanger themselves is be too much fun to leave parked. They get driven hard, modified, customized, raced and sometimes crashed. Cars and motorcycles have also proven to be good investments, so investment-minded people have actually bought cool, fun cars and motorcycles with every intention of never driving them. Less use means more value, and some people have the resources and willpower to not enjoy some of the most exciting cars and motorcycles ever made. UTV enthusiasts don’t think that way. That’s why some cars have gone 50 years and more without burning their first tank of gas. That’s how a 1968 Corvette can show up at an auction with 88 miles on the odometer and factory air still in its original tires. Rare 50-year-old motorcycles have actually been found in absolutely brand-new condition and still in the crate! Think you’ll find an X3 in the crate 50 years from now? Fat chance. About the only places you can see UTVs in mint condition is your UTV dealer’s showroom, in new model photos in UTV Action or our website (www.utvactionmag.com) or at a show-and-shine at a UTV jamboree. Those pampered show machines rarely stay that way for long. Before you know it, the owner will replace it with a better new model, and the show car will become someone’s regularly driven ride. 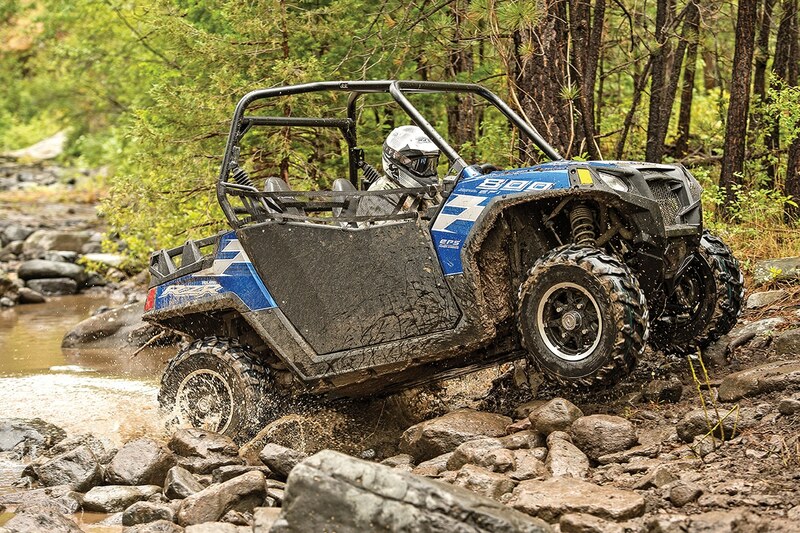 Brand-new UTVs often go from the dealer directly to the riding area, where some drivers wear the new off with mud, tree branches and the occasional tip-over, all in the first day of driving. We’ve done it and we know you have too. So, how can we work together to preserve mint-condition UTVs for future generations? This is going to be tough, but some drivers out there who have machines in new condition are just going to have to stop driving their vehicles, or drive them very, very gently. I’d like to participate, but I can’t. It’s my job to test new machines and tell you what they do. I hate to say it, but some of you will also have to stop customizing your UTVs to preserve them in completely original condition. I know those are harsh words, but aftermarket parts can completely transform a UTV’s looks and performance so much that some models won’t be recognizable, especially years from now. I wish I could help with this part of the UTV preservation effort, but I know you’re counting on us at UTV Action to evaluate aftermarket parts, accessories and modifications. I know you’re probably thinking the UTV manufacturers should preserve examples of their machines for posterity and to show their pride in their products. Manufacturers’ museums exist, but I haven’t seen UTVs added to any collections so far. If you think about it, would you really want your favorite UTV company devoting resources to a museum you might never see, or the next generation model of the machine you plan to get? Both would be best, but I’d sure like to see that next new machine. Not driving or modifying vehicles that are as fun to drive and modify as UTVs truly is the opposite of fun, so participation in the UTV preservation effort is sure to be small. God, fate and human nature have a way of protecting at least a couple of everything valuable, so there are sure to be some UTV owners who will hold on to shining examples of today’s machines intentionally or by accident. Mint-condition UTVs are going to be rare many years from now, but some will survive, and I think we’ll be glad they did.